Sir Charles Edward Trevelyan, 1st Baronet, KCB (2 April 1807 – 19 June 1886) was a British civil servant and colonial administrator. As a young man, he worked with the colonial government in Calcutta, India; in the late 1850s and 1860s he served there in senior-level appointments. Trevelyan was instrumental in the process of reforming the British civil service in the 1850s. This legacy is largely overshadowed by the controversial role he played in the British government's response to the potato blight often referred to as the Irish Potato Famine. Trevelyan's most enduring mark on history may be the "quasi" genocidal anti-Irish racial sentiment he expressed during his term in the critical position of administrating relief for the millions of Irish peasants suffering under the potato blight as Assistant Secretary to HM Treasury (1840–1859) under the Whig administration of Lord Russell. During the height of the famine, Trevelyan was slow to disburse direct government food and monetary aid to the Irish due to his strong belief in laissez-faire economics and the free hand of the market. He wrote highly disparaging remarks about the Irish in a letter to an Irish peer. Trevelyan never expressed remorse for his comments or actions. His defenders say that larger factors than Trevelyan's own acts and beliefs were more central to the problem of the famine and its high mortality. his mind was powerful, his character admirably scrupulous and upright, his devotion to duty praiseworthy, but he had a remarkable insensitiveness. Since he took action only after conscientiously satisfying himself what he proposed to do was ethical and justified he went forward impervious to other considerations, sustained but also blinded by his conviction of doing right. However, Trevelyan's own words that "the judgement of God sent the calamity to teach the Irish a lesson" make the proposition that he denied aid to the Irish solely because of his belief in laissez-faire questionable. Trevelyan was born in Taunton, Somerset, the son of a Cornish clergyman, the Venerable George Trevelyan, who became Archdeacon of Taunton, and his wife Harriet, daughter of Sir Richard Neave. His paternal grandfather was Sir John Trevelyan, 4th Baronet (see Trevelyan baronets for earlier history of the family) an old ethnically Cornish family originating from St Veep, Cornwall. He was educated at Blundell's School, Charterhouse School and the East India Company College. R.A.C. Balfour stated that "his early life was influenced by his parents membership of the Clapham Sect - a group of sophisticated families noted for their severity of principle as much as for their fervent evangelism." Notably, Trevelyan was a student of the economist Thomas Malthus while at Haileybury. His rigid adherence to Malthusian population theory during the Irish famine is often attributed to this formative tutelage. Our measures must proceed with as little disturbance as possible of the ordinary course of private trade, which must ever be the chief resource for the subsistence of the people, but, coûte que coûte (at any cost), the people must not, under any circumstances, be allowed to starve. Meanwhile, the Irish watched with increasing anger as boatloads of homegrown oats and grain departed on schedule from their shores for shipment to England. Food riots erupted in ports such as Youghal, near Cork, where people tried unsuccessfully to confiscate a boatload of oats. At Dungarvan, in County Waterford, British troops were pelted with stones as they shot into the crowd, killing at least two people and wounding several others. British naval escorts were then provided for the riverboats. He was cofounder in 1851, with Sir John McNeill, of the Highland and Island Emigration Society which during the Highland Clearances supported an exodus of nearly 5,000 people to Australia between 1851 and 1858. Trevelyan was Governor of Madras from 1859 to 1860, and Indian Finance Minister from 1862 to 1865. A reformer of the civil service, he is widely regarded as the founder of the modern British civil service. On 23 December 1834, while in India, he married Hannah More Macaulay, sister of Lord Macaulay, who was then a member of the supreme council of India, and one of his closest friends. Their only son, who inherited the Baronetcy on his father's death, was Sir George Trevelyan, 2nd Baronet, the statesman. Hannah Macaulay Trevelyan died on 5 August 1873. Trevelyan married, secondly, on 14 October 1875, Eleanor Anne, daughter of Walter Campbell of Islay. He entered the East India Company's Bengal civil service as a writer in 1826, having displayed from an early age a great proficiency in Asian languages and dialects. On 4 January 1827, Trevelyan was appointed assistant to Sir Charles Theophilus Metcalfe, the commissioner at Delhi, where, during a residence of four years, he was entrusted with the conduct of several important missions. For some time he acted as guardian to the youthful Madhu Singh, the Rajah of Bhurtpore. He also worked to improve the condition of the native population. He abolished the transit duties by which the internal trade of India had long been fettered. For these and other services, he received the special thanks of the governor-general in council. Before leaving Delhi, he donated personal funds for construction of a broad street through a new suburb, then in course of erection, which thenceforth became known as Trevelyanpur. In 1831, he moved to Calcutta, and became deputy secretary to the government in the political department. Trevelyan was especially zealous in the cause of education, and in 1835, largely owing to his persistence, government was led to decide in favour of the promulgation of European literature and science among the Indians. An account of the efforts of government, entitled On the Education of the People of India, was published by Trevelyan in 1838. In April 1836, he was nominated secretary to the Sudder board of revenue, an office he had held until his return in January 1838. On 21 January 1840, he entered on the duties of assistant secretary to Her Majesty's Treasury in London, and discharged the functions of that office for nineteen years. In Ireland he administered the relief works of 1845–47, when upwards of 734,000 men were employed by the government during the Great Famine. Altogether, about a million people in Ireland are reliably estimated to have died of starvation and epidemic disease between 1846 and 1851, and some two million emigrated in a period of a little more than a decade (1845–55). On 27 April 1848 Trevelyan was made a KCB in reward of his services. The Great Famine in Ireland began as a natural catastrophe of extraordinary magnitude, but its effects were severely worsened by the actions and inactions of the Whig government, headed by Lord John Russell in the crucial years from 1846 to 1852. Many members of the British upper and middle classes believed that the famine was a divine judgment—an act of Providence. A leading exponent of the providentialist perspective was Trevelyan, who was chiefly responsible for administering Irish relief policy throughout the famine years. In his book The Irish Crisis, published in 1848, Trevelyan later described the famine as "a direct stroke of an all-wise and all-merciful Providence", one which laid bare "the deep and inveterate root of social evil". The famine, he declared, was "the sharp but effectual remedy by which the cure is likely to be effected... God grant that the generation to which this great opportunity has been offered may rightly perform its part ..." This mentality of Trevelyan's was influential in persuading the government to do nothing to restrain mass evictions. 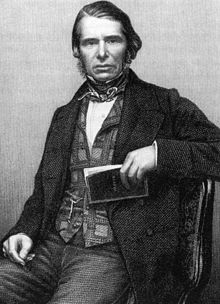 During the Great Famine, specifically 1846, the Whig–Liberal Government held power in Britain, with Trevelyan acting as treasurer. In this position Trevelyan had considerable influence over the parliament's decisions, especially the plans for the relief effort in Ireland. Along with the Whig government, he believed Ireland needed to correct itself and that a laissez-faire attitude was the best solution. Though the efforts made by Trevelyan did not produce any permanent remedy to the situation, he believed that if the British Government gave Ireland all that was necessary to survive, the Irish people would come to rely on the British government instead of fixing their problems. In the summer of 1846, Trevelyan ordered the Peelite Relief Programmes, which had been operating since the early years of the famine, to be shut down. This was done on 21 July 1846 by Sir Charles Wood. Trevelyan believed that if the relief continued while a new food crisis was unfolding, the poor would become permanently conditioned to having the state take care of them. After the end of the Peelite Relief Programs, the Whig–Liberal government instituted the Labour Rate Act, which provided aid only to the most severely affected areas of the famine. This Labour Act took time to be implemented, as was Trevelyan's intention, allowing Britain to spend the bare minimum to feed those starving from the famine. He was nicknamed as "lynchpin of relief operations". Trevelyan believed that labourers should have seen this as a happy event to take advantage of what he called "breathing-time" to harvest their own crops and carry out wage-producing harvest work for large farmers. But the return of the blight had deprived labourers of any crops to harvest and farmers of agricultural work to hire labourers for. Trevelyan expressed his views in letters that year to Lord Monteagle of Brandon and in an article in The Times. But in 1846 more than ninety percent of the potato crop had been destroyed. Trevelyan wrote to Lord Monteagle of Brandon, a former Chancellor of the Exchequer, that the famine was an "effective mechanism for reducing surplus population", and was "the judgement of God". Further he wrote that "The real evil with which we have to contend is not the physical evil of the Famine, but the moral evil of the selfish, perverse and turbulent character of the people". Trevelyan said in his 9 October 1846 letter to Lord Monteagle that "the government establishments are strained to the utmost to alleviate this great calamity and avert this danger" as was within their power so to do. Trevelyan praised the government and denounced the Irish gentry in his letter, blaming them for the famine. He believed that the landlords were responsible to feed the labourers and increase land productivity. The Times agreed with Trevelyan, faulting the gentry for not instructing their proprietors to improve their estates and not planting crops other than the potato. In his letter to Lord Monteagle, Trevelyan identified the gentry with the "defective part of the national character" and chastised them for expecting the government to fix everything, "as if they have themselves no part to perform in this great crisis." By blaming the famine on the gentry, Trevelyan justified the actions—or inaction—of the British Government. The potato blight eventually spread to the Western Highlands of Scotland, causing similar destitution and deaths. In 1851, in response to that crisis, Trevelyan and Sir John McNeill founded the Highland and Island Emigration Society. From 1851 until its termination in 1858, the society sponsored the emigration of around 5,000 Scots to Australia. In 1853, Trevelyan proposed the organisation of a new system for hiring of people in the government civil service. The Northcote–Trevelyan Report, signed by himself and Sir Stafford Northcote in November 1853, entitled The Organisation of the Permanent Civil Service, laid the foundation for securing the admission of qualified and educated persons into positions that had been dominated by members of aristocratic and influential families who benefitted by personal networks. It was intended to be a merit system. In 1858, Lord Harris resigned the governorship of the presidency of Madras, and Trevelyan was offered the appointment. Having maintained his knowledge of oriental affairs by close attention to all subjects affecting the interest of India, he entered upon his duties as governor of Madras in the spring of 1859. He soon became popular in the presidency. Believed due to his conduct in office, the natives became reconciled to the government. An assessment was carried out, a police system organised in every part, and, contrary to the traditions of the East India Company, land was sold in fee simple to any one who wished to purchase. These and other reforms introduced or developed by Trevelyan won the gratitude and esteem of the Madras population. All went well until February 1860. Towards the close of 1859, James Wilson had been appointed financial member of the legislative council of India. At the beginning of the new year, he proposed a plan of retrenchment and taxation by which he hoped to improve the financial position of the British administration: his plan was introduced at Calcutta, the seat of government, on 18 February, and transmitted to Madras. On 4 March, an open telegram was sent to Calcutta implying an adverse opinion of this proposal by the governor and council of Madras. On 9 March, a letter was sent to Madras stating the central government's objection to the transmission of such a message in an open telegram at a time when native feeling could not be considered stable. At the same time, the representative of the Madras government in the legislative council of India was prohibited from following the instructions of his superiors to lay their views upon the table and to advocate on their behalf. On 21 March, the government sent another telegram to Madras declaring the bill would be introduced and referred to a committee which was due to report in five weeks. On 26 March, opinions among Trevelyan and his council were recorded and, on his authority, the document found its way into the papers. Undoubtedly it conveys a strong censure on one act of Sir Charles Trevelyan's public conduct, yet Sir Charles Trevelyan has merits too, inherent in his character, to be clouded and overshadowed by this simple act, and I trust in his future career he may be useful to the public service and do honour to himself. A more honest, zealous, upright, and independent servant could not be. He was a loss to India, but there would be danger if he were allowed to remain, after having adopted a course so subversive of all authority, so fearfully tending to endanger our rule, and so likely to provoke the people to insurrection against the central and responsible authority. In 1862, Trevelyan returned to India as finance minister. His tenure of office was marked by important administrative reforms and by extensive measures for the development of natural resources in India by means of public works. In 1862, Colonel Douglas Hamilton was given a roving commission by Trevelyan to conduct surveys and make drawings for the Government of all the hill plateaus in Southern India which were likely to suit as Sanitaria, or quarters for European troops. On his return home in 1865, Trevelyan became engaged in discussions of the question of army purchase, on which he had given evidence before the royal commission in 1857. Later he was associated with a variety of social questions, such as charities, pauperism, and the like, and in the treatment of these. He was a staunch Liberal, and gave his support to the Liberal cause in Northumberland, while residing at Wallington Hall in that county. Trevelyan died at 67 Eaton Square, London, on 19 June 1886, aged 79. Trevelyan was appointed KCB on 27 April 1848. Three decades later on 2 March 1874, he was created the first Trevelyan baronet, of Wallington. When his cousin Walter Calverley Trevelyan, 6th Baronet, of Nettlecombe, died at Wallington on 23 March 1879, he was childless after two marriages. He bequeathed his north-country property to Charles. A biographer from the family notes that Walter had changed his will in 1852, having been impressed by Charles' son. The young George Otto Trevelyan had visited Walter and his wife and received hints of the secret will. The modest social position of the family was suddenly elevated to one of wealth and property, recorded as an important event in the history of the baronetcy. The changed will came as a surprise to Alfred Trevelyan, who was advised at the end of a lengthy letter that detailed the evils of alcohol. He issued a costly and unsuccessful challenge for the title and estate. The Application of the Roman Alphabet to all the Oriental Languages, 1834; 3rd edit. 1858. A Report upon the Inland Customs and Town Duties of the Bengal Presidency, 1834. The Irish Crisis, 1848; 2nd edit. 1880. The Army Purchase Question and Report and Evidence of the Royal Commission considered, 1858. The Purchase System in the British Army, 1867; 2nd edit. 1867. The British Army in 1868, 1868; 4th edit. 1868. A Standing or a Popular Army, 1869. Three Letters on the Devonshire Labourer, 1869. From Pesth to Brindisi, being Notes of a Tour, 1871; 2nd edit. 1876. The Compromise offered by Canada in reference to the reprinting of English Books, 1872. Christianity and Hinduism contrasted, 1882. Trevelyan's letters to the Times, with the signature of Indophilus, were collected with Additional Notes in 1857; 3rd edit. 1858. Several of his addresses, letters, and speeches were also published. In conjunction with his cousin, Sir Walter Calverley Trevelyan, he edited the Trevelyan Papers (Camden Society 1856, 1862, 1872). Anthony Trollope admitted that Trevelyan was the model for Sir Gregory Hardlines in his novel The Three Clerks (1858). Charles Dickens likely based the nepotistic aristocrat Tite Barnacle, a character in his novel Little Dorrit, on Trevelyan. Barnacle controls the "Circumlocution Office", where everything goes round in circles, and nothing ever gets done. The Irish-American rock band Black 47, in their song of the same name from their 1992 album Fire of Freedom, refer to Trevelyan, as well as Queen Victoria and Lord Russell, as being among those responsible for the famine. Trevelyan is referred to in the modern Irish folk song "The Fields of Athenry," about the Great Irish Famine: "Michael, they have taken you away / because you stole Trevelyan's corn / so the young might see the morn / now a prison ship lies waiting in the bay." Because of Trevelyan's policies, the Irish consider him one of the most detested figures in their history, along with Oliver Cromwell, who conquered the country in the 17th century. Balfour, R.A.C. (1990–92). "The Highland and Island Emigration Society, 1852-1858". Transactions of the Gaelic Society of Inverness. LVII: 429–566. Woodham-Smith, Cecil (1962). The Great Hunger - Ireland 1845-49. London. JSTOR 20495761. ^ "Charles Edward Trevelyan". Multitext Project in Irish History. University College Cork. Archived from the original on 18 May 2014. Retrieved 21 April 2014. ^ a b "Historical Notes: God and England made the Irish famine". Independent. 3 December 1998. Retrieved 21 April 2014. ^ Mann, Charles (2012). 1493: How Europe's Discovery of the Americas Revolutionized Trade, Ecology and Life on Earth. Granta Books. ISBN 978-1847082459. ^ Woodham-Smith 1962, p. 60. ^ a b c d Balfour, p. 441. ^ Woodham-Smith, Cecil (1991). The Great Hunger: Ireland 1845–1849. Penguin. ISBN 978-0140145151. ^ Bourke, Austin (5–6 May 1977). "Apologia for a dead civil servant". The Irish Times. ^ Devine, T.M. (2012). To the Ends of the Earth: Scotland's Global Diaspora, 1750-2010. Penguin. ISBN 978-0141015644. ^ McRae, Malcolm (1962). "Sir Charles Trevelyan's Indian Letters, 1859–1865". The English Historical Review. Oxford University Press. 77 (305): 706–712. doi:10.1093/ehr/lxxvii.cccv.706. JSTOR 559670. ^ a b c d Murchadha, Ciarán Ó (2011). The Great Famine: Ireland's Agony 1845-1852. Hambledon Continuum. p. 54. ISBN 978-1847252173. ^ a b Murchadha, Ciarán Ó (2011). The Great Famine: Ireland's Agony 1845-1852. Hambledon Continuum. p. 51. ISBN 978-1847252173. ^ Murchadha, Ciarán Ó (2011). The Great Famine: Ireland's Agony 1845-1852. Hambledon Continuum. p. 48. ISBN 978-1847252173. ^ a b Trevelyan, Laura (2012). A Very British Family: The Trevelyans and Their World. I.B.Tauris. ISBN 978-1780762876. ^ "The Great Famine". Parliament UK. Retrieved 21 April 2014. ^ MacMillan, David (1963). "Sir Charles Trevelyan and the Highland and Island Emigration Society, 1849-1859". Journal of the Royal Australian Historical Society. 49. ^ Hansard, 11 May 1860, cols. 1130–61; Statement of Sir C. E. Trevelyan of the Circumstances connected with his Recall from India, 1860. ^ "Trevelyan, Walter Calverley" . Dictionary of National Biography. London: Smith, Elder & Co. 1885–1900. ^ "Hardlines, Sir Gregory". The Trollope Society. Archived from the original on 23 April 2014. Retrieved 21 April 2014. ^ "Dropkick Murphys Lyrics". Retrieved 14 October 2015. This article incorporates text from a publication now in the public domain: "Trevelyan, Charles Edward". Dictionary of National Biography. London: Smith, Elder & Co. 1885–1900.